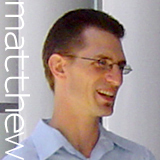 Matthew T. Herbst is an Associate Teaching Professor at UC San Diego and Director of the Making of the Modern World. A proponent of experiential learning, Prof. Herbst was an inaugural faculty member of the university’s Global Seminars in 2008 and has led ten undergraduate world history programs (2008-2019) in Asia (Thailand, Cambodia, Turkey), Europe (England, France, Italy, Turkey), and Oceania (New Zealand, Australia). He has also led service-learning programs in Turkey and on the Navajo Reservation and twenty humanities seminars in the wilderness of California. In addition, he was a founding faculty member of the First Year Experience program in 2014, designed to facilitate successful student transition to the university, and teaches this each fall. Dedicated to fostering links between pre-collegiate and higher education, he served as a public school board member, as a Content Review Expert for the CA Department of Education’s review of new world history curricula, as a proposal reviewer for National Endowment for the Humanities Seminars and Institutes for teachers, and regularly offers world history teacher trainings. He also co-leads an educational enhancement program for refugee high school students. Prof. Herbst is developing grant-funded online humanities courses and is writing a study of Byzantium in World History. Prof. Herbst is a member of committees addressing disability (since 2010) and outdoor education (since 2016), is board chair of the Burke lectureship on religion and society (2015-2019), and chairs university committees on Preparatory Education (AY2018-19), Public Service (AY2018-19), and formerly Educational Policy. He has received multiple awards for his professional activity, including a UCSD Distinguished Teaching Award and an Equity, Diversity, and Inclusion Award. For more, see: http://ucsdherbst.org. Eberly Barnes is Academic Coordinator for MMW 11, 12, and 13. Dr. Barnes hires and trains new TAs; supervises TAs in MMW 11, 12, and 13; oversees writing instruction in MMW 12 and 13; and manages academic integrity cases. Dr. Barnes earned her PhD in English at St. Louis University, where she specialized in critical theory; studied the evolution of consciousness and history or rhetoric with Walter J. Ong; and wrote her dissertation on the critical history of Shakespeare’s Twelfth Night. In addition, she holds an MA in English from The University of Texas at Austin and a BA in English from Louisiana College. Her research and teaching interests include writing pedagogy; rhetoric, composition, and the writing process; writing program administration; the evolution of consciousness; sustainability, diversity, and social justice; creative non-fiction; and kinesthetic education. Dr. Barnes also enjoys yoga, tai chi, and exploring nature. 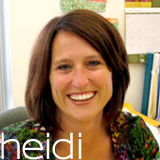 Heidi Keller-Lapp is Academic Coordinator for MMW 14 and 15 and the transfer sequence, MMW 121 and 122. 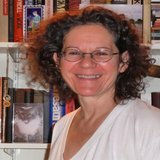 Dr. Keller-Lapp supervises TAs, oversees writing assignments in MMW 14, 15, 121, and 122, and manages academic integrity cases. She teaches MMW 14, 121, and courses on the French Revolution and Early Modern Europe in the history department. Heidi Keller-Lapp received her Ph.D. in European History from the University of California San Diego, where she specialized in early modern French history and completed fields in the anthropology of religion and gender/religion in medieval Europe. In addition, she holds a BA in Communication Studies from the University of California, Santa Barbara and a MS in Higher Education Administration from Indiana University. Dr. Keller-Lapp was awarded the 2012 Eleanor Roosevelt College Outstanding Faculty Award and was selected as an NEH Summer Scholar in London during Summer 2012. Her research interests include gender in early modern Europe and in European colonial expansion, world religions, women’s religious communities, and the history of social and political thought. Her current project is the completion of her book manuscript entitled Floating Cloisters and Holy Amazons: French Ursuline Missionaries in the Atlantic World (1727-1744). Outside of teaching and scholarship, Dr. Keller-Lapp enjoys traveling with her family, attending her sons’ sporting events, and walking Shelby, her beagle. 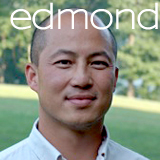 Edmond Chang received his Ph.D. in Comparative Literature from the University of California, San Diego in 2002. A former Fulbright Grant recipient, he focused on comparative philosophy with an emphasis on Chinese aesthetics in the 4th century C.E. Dr. Chang also holds a M.F.A. 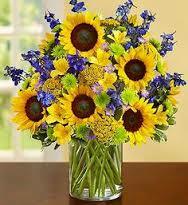 in Creative Writing from the Writers’ Workshop at the University of Iowa, as well as a B.A. in History and International Relations from Tufts University. Aside from teaching, Dr. Chang has published poetry and worked as a professional translator and editor. His hobbies include many sports and hiking in the Sierras with his family. As the Lecturer for the MMW program, he teaches MMW 12, 13, 14, 15, 121 and 122. 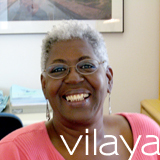 Vilaya Roberts provides administrative support to the program, including website management, fiscal management, scheduling lectures and sections, and providing support to faculty and TAs. She attended UCSD during the “wild & wooly” days of the early 70’s as a student at Third College (now Thurgood Marshall College). She majored in Theatre and minored in music, and was cast in several school productions under the direction of Dr. Floyd Gaffney. After college, she worked for a while at the Old Globe Theatre in the costume shop; formed a theatre company with friends called “A Wing and a Prayer”; and performed around southern California as a jazz vocalist. Her favorite pastimes are cooking, reading and spending time with her friends. Myra Dang grew up in Los Angeles and was a first-generation college student at UC San Diego and graduated with a BS in Public Health. During her undergraduate career, she was involved in the Ladnaan Project, which focused on implementing a culturally-sensitive physical activity program for Somali women and also on a study that assessed the health and fatigue of taxi drivers. As an Eleanor Roosevelt College alumna, it is quite fitting that Myra studied abroad, participating on an MMW Global Seminar in Istanbul, Turkey. 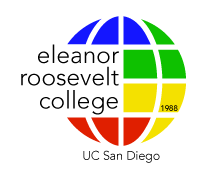 Afterwards, Myra provided administrative support for two MMW Summer Institutes for teachers, which were also held in Istanbul. Myra loves the outdoors and spends much time hiking and running along the beach. Her varied interests include yoga, reading, and time with cats and dogs.